Beginning in 1915, under the guise of a world war, some one million Armenians were killed through starvation, forced marches, forced exile and mass acts of slaughter. Although Armenians, history and world opinion have held the Ottoman powers responsible, Turkey has rejected any claim of intentional genocide. 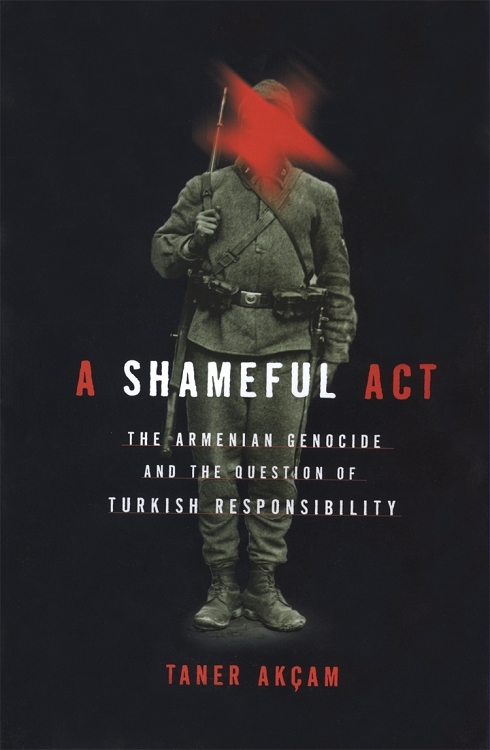 Indeed, even speaking of the Armenian genocide can be a punishable offense in Turkey. Now, in a pioneering work of excavation, Turkish historian Taner Akçam has made extensive and unprecedented use of Ottoman and other sources, as well as earlier studies by Armenian researchers, to produce a scrupulous account of Ottoman culpability. Drawing on significant evidence--Turkish military and court records, parliamentary minutes, letters and eyewitness accounts--Akçam follows the chain of events leading up to the killings and then reconstructs their systematic orchestration by coordinated departments of the Ottoman state, the ruling Union and Progress Party, and various military forces. He also probes into the crucial question of how Turkey succeeded in evading responsibility, pointing to the Great Powers' competing interests in the region, the priorities of the newly emerging Turkish national movement, and the international community's inadequate attempts to bring the perpetrators to justice. As Turkey lobbies to enter the European Union, Taner Akçam's work becomes ever more important and relevant. Beyond its timeliness, A Shameful Act is sure to take its lasting place as a classic and necessary work on the subject.